Is it possible to use a 16-1 trigger wheel too? From 16 to 200,right? N-1 or N-2 only? I'm trying to use the forum in a better way too. You can not achieve good dwell time with it (it will be very hot on idling). That was suggested by my instinct too whan I was thinking of that ignition module. 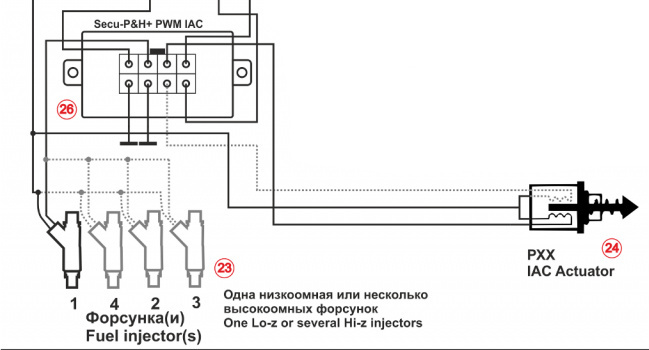 I'm studying the injection too,I have a lot of question... Sorry! While I was looking for infos I think you've just added that new module. Thanks in advance, be patient,please. 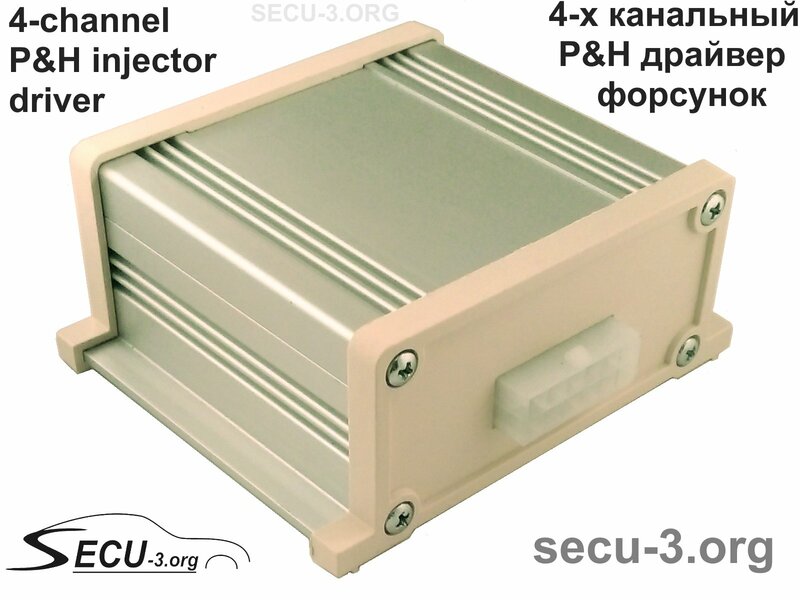 We need two modules for multipoint injection. At the beginning I watched at the wires of diagrmam only, then I realized that there were the note too. What does mean * in case of IE? 4 channel driver for high impedance injectors. 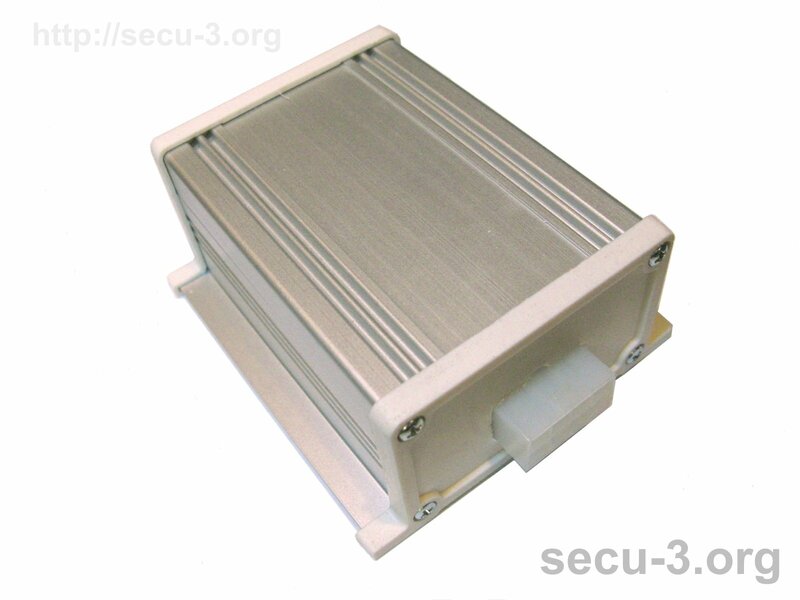 What about the stepper motor module? 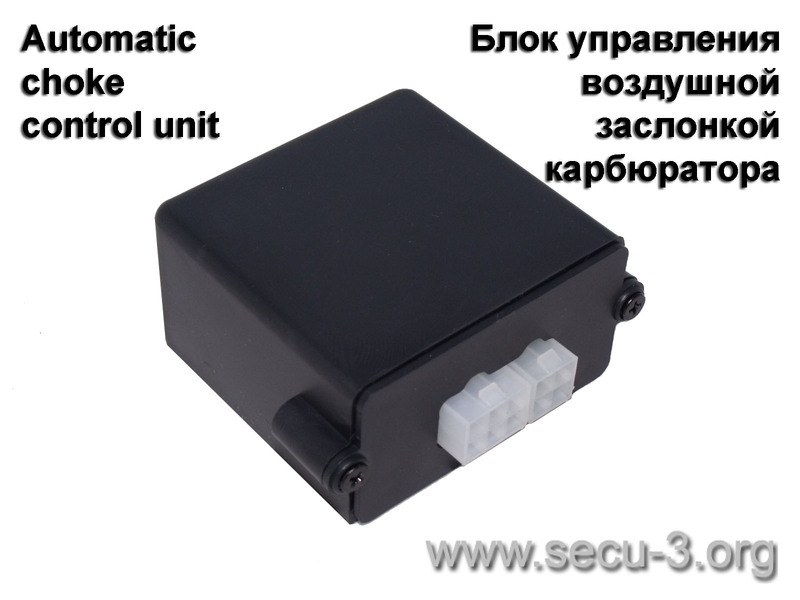 Is it the same module for automatic choke control unit? For 8 cylinder engine we need 2 of these modules. 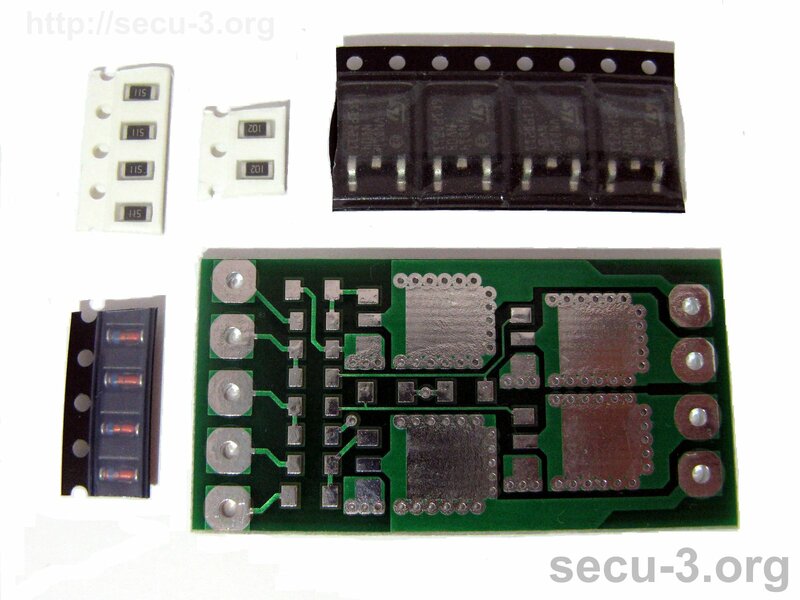 For 4 cylinder engine we need single module. This module has 4 channels. Yes, pay attention on notes. 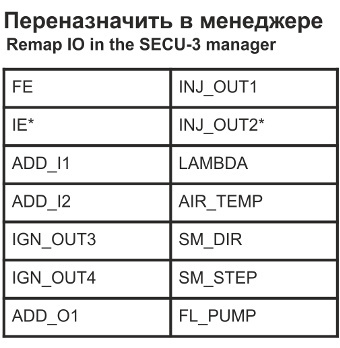 This means than in this example you need to remap IE output for INJ_OUT2 only in case of semi-sequential injection. 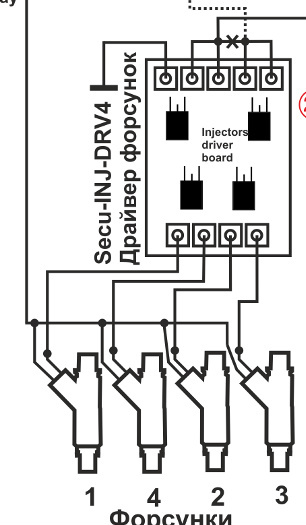 For simultaneous injection we need only one output (because all injectors fire simultaneously, all 4 inputs of module connected to single output). Yes it is the same and can be used either for IAC or automatic choke control. Sorry for the confusion, when I said two modules I didn't men two injectors drive boards. I meant a module for injectors and one for IAC. However your explication made me understand better the next things. Now it's time for singlepoint injection. It takes just a module for injectror and IAC. The same output for injection as for not semisequential multipont . That module is good for singlepoint or not semisequential multipoint. The output for IAC is diffrent,now it's ECF. Why are there two wires only for IAC and one is optional? I think that module is good for a injector or four injectors only, not suitable for two or three injectors,right? I think so because there is a four channel P&H injector driver even if I don't understand why. This unit can drive one low resistance injector or 1-2 high resistance injectors (this is because hold current of 1A is not sufficient for 3-4 injectors). That's the T.P.S I posted time ago. I didn't realize that isn't good to use as a load engine senor. I'm in trouble to post on this forum because a technical problem. I don't know how and why. This time I'm trying again to post. I had to "switch mobile style" to see the tool to post. TPS is not bad as load sensor. In some cases it is only reasonable solution, e.g. if intake chamber is too low and pressure pulsations are big. TPS must generate linear voltage output, output voltage depends on position of throttle. If your TPS has only on/off switches and has no variable resistance part, then it can not be used as load source. Do you mean the socalled Alpha/N referred to the TPS used as load sensor? I understood, it takes a potentiometer for that. I didn't know that there were TPS missing it. I've just seen three different TPS. The linear voltage output is represented by an arrow in the schemas. There are TPS with more pins than three.